After the great season of Meet Magento events such as Spain, Greece, Poland and many others, we have decided to close this years season of conferences with something different. For this occasion, my colleague and I had a unique opportunity to visit a MageTestFest. It was a 4-day coding event focused solely on testing. The conference was held at the Prodentfabriek, a former toothpaste factory. 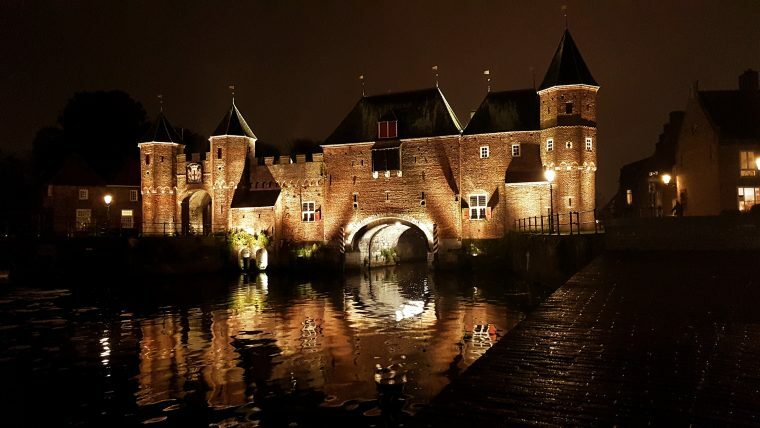 It is located in the city of Amersfoort in central Netherlands. Our hotel was located nearby, right next to the old city center. That gave us a great opportunity to visit historical parts of the town each evening. The rest of the city is not an exception, and was well worth 6h trip by car, airplane and finally the train. Besides the well-preserved and protected medieval center, city has to offer a great selection of beer. This was obviously and important thing for every development conference. First two days of the conference were workshops. The first one was held by Sebastian B., creator of PHPUnit. This was a great experience for anyone starting with the unit tests as it was an opportunity to learn from the expert. Day has been well spent on testing the process of terraforming Mars. On the second day, Mathias V. thought us about Domain Driven Design principles, where discussion prolonged far behind the scheduled time. Again, it was an opportunity to hear the experiences with software architecture from an expert, on a topic that I, unfortunately, do not encounter very often. Although both workshops were not strictly related to Magento, they were valuable resources for us, and I am sure we will see the benefits of applied knowledge on our projects. And just like the intro, the conference itself was amazing. It has been opened by our speakers from the workshops, which came with old/new topics. Sebastian once again walked us through PHPUnit, while the Mathias started the first live coding session of the day. He was not alone, as we also had a pleasure to enjoy another talk and live coding session, this time held by Vinai. With his famous katas, he showed us how easy is to create integration tests in Magento 2. As usual, we also had the pleasure to enjoy the company and talks of the Magento core team. There was also supposed to be a session on BDD that I was really looking forward to, but unfortunately James could not make it. And finally, last day was a contribution day, in which we weren’t participating. Instead we took a day of to wonder around Amsterdam, before saying goodbye and returning back to our offices. At the end, I would like to say that I am looking forward to next MageTestFest, but as Jisse explained, this was a unique event and there won’t be another one. Instead, I am looking forward to whichever next event he organizes, as I am sure it will be just as awesome as the MageTestFest itself!